Having won their trust with effort and difficulty, Aazaan moves around with the conspirator’s henchman, Imaad. Aazaan has only one motive in mind – to get all the information possible on the weapons and the time of strike. 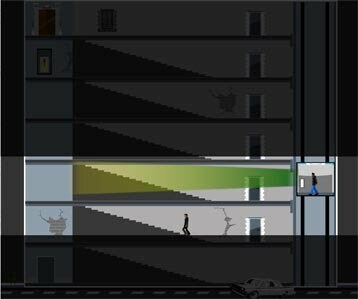 Aazaan – The Official Game on TheGameBox is a pacy, stealth game that gives the user a first-hand experience of spying on the terrorists as Aazaan. The game is split into three stages: in the first, the user follows Imaad on the sly. In the second, he collects information from the place Imaad visits and sends the information to RAW. In the third, he reaches the same spot where Imaad has asked him to wait at. What happens next is a mystery that will be solved on the 14th October, 2011 when Aazaan releases worldwide. Do catch the movie! As the fever builds up on Aazaan, we have some more cool games for you! Check out Aazaan – Double Exposure, Aazaan – Jigscene and Aazaan – Movie MatchUp Mania all this month, only on TheGameBox!